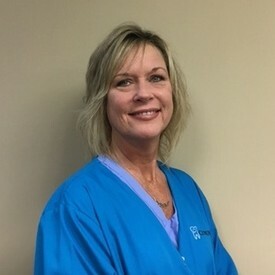 Stacey has been working in the dental field since 1985 and received her training through Frederick Community College. 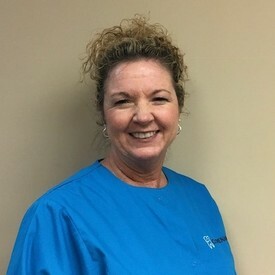 Her years as a Certified Dental Assistant give her added insight when discussing treatment, scheduling, and financing as well as the benefits and limitations of dental insurance plans. It has been her pleasure to have worked with Dr Zimmerman and this staff since 1999. Stacey feels truly blessed to come to work and share her day with some extraordinary people that she considers family. I have been an administrative assistant with Dr Zimmerman since 2003. I received my formal education through Millersville University. I feel privileged to work with people whose daily focus is the health and welfare of others. I work as an administrative assistant and have been with Dr Zimmerman’s practice since 2002. I received my formal education through Hagerstown Community College. I enjoy helping patients by scheduling appointment, processing insurance claims, and answering dental questions. I’m happy to work in a practice that strives to give the patient the best possible dental experience. Over the years, the relationships established with patients and co-workers make my job very satisfying. 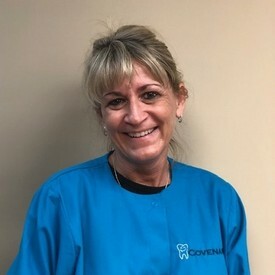 Tena has been an administrative assistant in the dental field for 16 years. 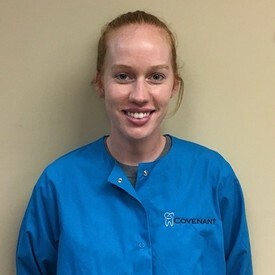 She joined the Covenant family in 2010 and feels very blessed to be a part of such a great team. She enjoys spending time with her family and grandchildren. She enjoys baking delicious cupcakes and everything Christmas!!! 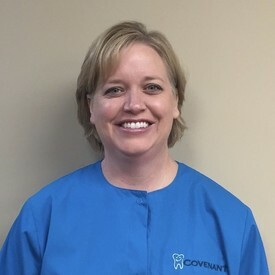 Lori has worked in the dental field since 2013 and joined this practice as an administrative assistant in 2016. She received her formal education from Hagerstown Community College. 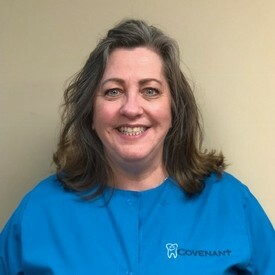 Lori enjoys being able to serve the community on a daily basis and loves working at Covenant Family Dentistry because patient care is placed at such a high standard. 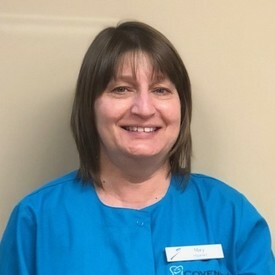 Lori feels that she has grown a lot personally and professionally during her time here and is looking forward to many happy years with this practice. In her spare time she enjoys spending time with her family and cuddling her pets. 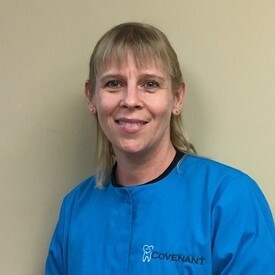 Sarah is a dental hygienist and she has worked with Dr Zimmerman since 1996 first as an assistant and later as a dental hygienist. She received her dental hygiene degree from Allegany College of Maryland. 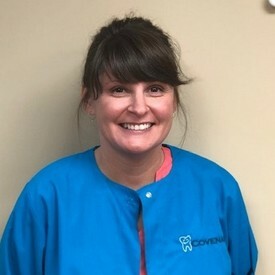 Sarah enjoys the opportunity to serve people and to help bring patients to better dental health. 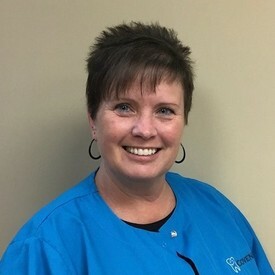 Dental Hygiene has been Mary's career since graduating from West Liberty College in 1985. 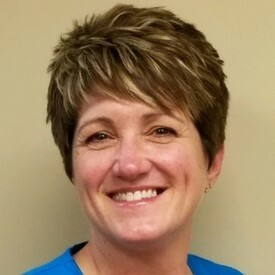 Mary has been with Dr Zimmerman's practice since 1999. 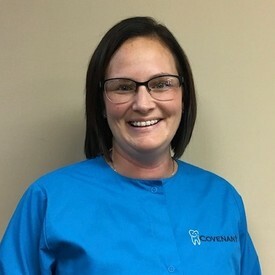 She loves working with our team oriented staff and enjoys helping our patients feel welcomed and comfortable while providing dental services. 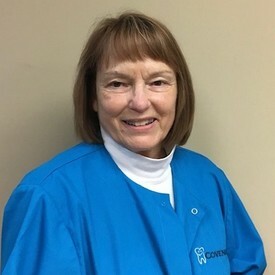 A 1979 graduate of Allegany College in Cumberland, MD, Carol has been a dental hygienist for the past 39 years and has worked for Dr Zimmerman since 1995. She enjoys meeting and working with patients of all ages and establishing long term relationships with them. A native of Maryland, I have been practicing dental hygiene for over 20 years. I graduated from Allegany College of Maryland with a degree in Dental Hygiene in 1995. I have enjoyed the family oriented nature and fast paced environment of our dental office and bringing my experience in pediatric dentistry. When not working I enjoy watching my son in his athletic events, walking my two Corgis, Sam and Bonnie, and spending time with my husband and son attending sporting events. I am an Expanded Function Dental Assistant (EFDA). I have been working in the dental field for over 30 years, and with Dr Zimmerman since 1986. I received formal training through the Franklin County Vo-Tech School and the Academy of Medical Arts and Business in Harrisburg, PA. I enjoy working with children and feel rewarded by helping them overcome their fear of coming to the dentist. I have enjoyed meeting new people and developing friendships with patients over the years. 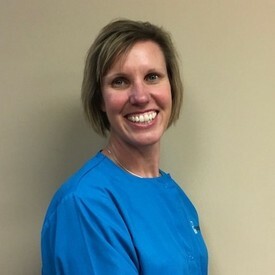 Christina is a dental assistant and has worked with Dr Zimmerman since 2003. 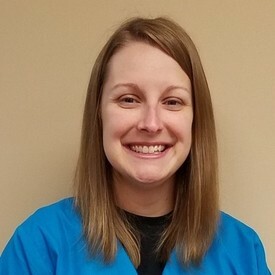 She enjoy serving our patients to the best of her ability while building relationships with them and helping them to feel more at ease in our dental office. I am a hygiene assistant and dental assistant in the office and have been here since 2002. I enjoy the flexibility of working in many areas of the office. Over the years I have met many new faces and enjoy seeing familiar faces. I love working with children and community. 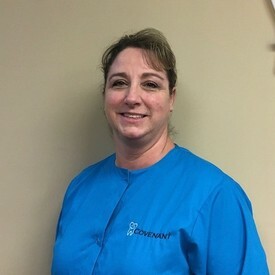 I have been a dental assistant since 1991 and I received my training at the Franklin County Vo-Tech School. After graduating, I worked in dentistry for several years and began working for Dr Zimmerman in 2004. I enjoy working here because of the talented staff. We enjoy helping people keep their bright smiles. I have worked with Dr Zimmerman and Dr Stone since 2006. 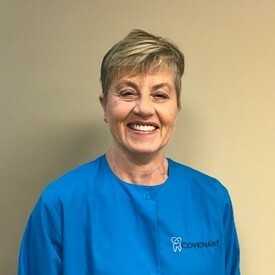 I have over 40 years of experience in the dental field, having worked in general dentistry, orthodontics, oral surgery, and clinical management. I am a Waynesboro native and I enjoy working here in my community. I feel dentistry is a career choice where I can make a difference for people by helping them have and maintain good oral health and helping to build a beautiful smile. Our patients’ needs are always put first. We strive to make the dental experience positive and comfortable from the youngest to the oldest, the most experienced to the most nervous. We are here to make you smile. I have been a dental assistant since 2004 and I began working in this office in 2006. I enjoy making a difference for each and every patient I work with. Originally from Lancaster County, I received my training at Willow Street Vocational Technical School in 1990. After graduation, I joined the AirForce and received further training at Sheppard Air Force Base in Texas. I spent the first four years of my profession at Robins Air Force Base in Georgia. Since then I have worked for several offices in Georgia and Illinois. I returned to Pennsylvania in 2004 and started working with Dr Zimmerman in 2005. I enjoy meeting new people and knowing I’m doing something rewarding for them and myself. I received my certification from Hagerstown Community College. I joined Dr Zimmerman’s staff in 2017. I have a passion for helping individuals. I was quiet and shy when I started this job, but that quickly changed after I started. The patients I have met during the time I’ve been here have helped me with that transition.